In this first modern, critical assessment of the place of mathematics in Berkeley's philosophy and Berkeley's place in the history of mathematics, Douglas M. Jesseph provides a bold reinterpretation of Berkeley's work. 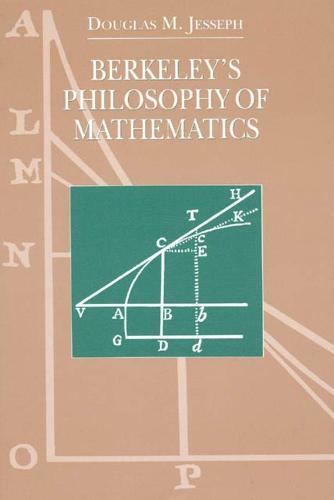 Jesseph challenges the prevailing view that Berkeley's mathematical writings are peripheral to his philosophy and argues that mathematics is in fact central to his thought, developing out of his critique of abstraction. Jesseph's argument situates Berkeley's ideas within the larger historical and intellectual context of the Scientific Revolution. Jesseph begins with Berkeley's radical opposition to the received view of mathematics in the philosophy of the late seventeenth and early eighteenth centuries, when mathematics was considered a "science of abstractions." Since this view seriously conflicted with Berkeley's critique of abstract ideas, Jesseph contends that he was forced to come up with a nonabstract philosophy of mathematics. Jesseph examines Berkeley's unique treatments of geometry and arithmetic and his famous critique of the calculus in The Analyst. By putting Berkeley's mathematical writings in the perspective of his larger philosophical project and examining their impact on eighteenth-century British mathematics, Jesseph makes a major contribution to philosophy and to the history and philosophy of science.